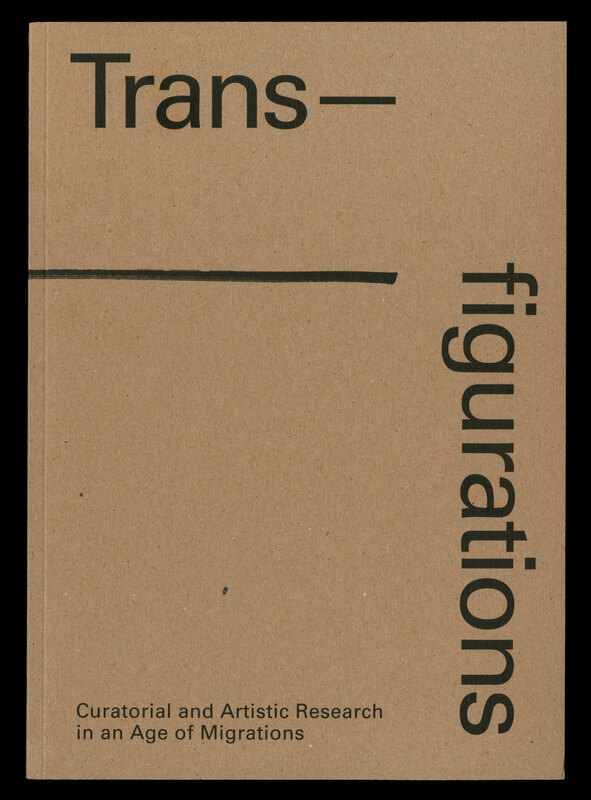 This book presents the investigations edited by the Royal College (RCA) of Art about ‘the relevance and strategic value of the Curatorial and Artistic Research’ in the ‘age of migrations’, as part of a four-year research project (funded by the European Union) called ‘European Museums in an Age of Migrations’ (MeLa). 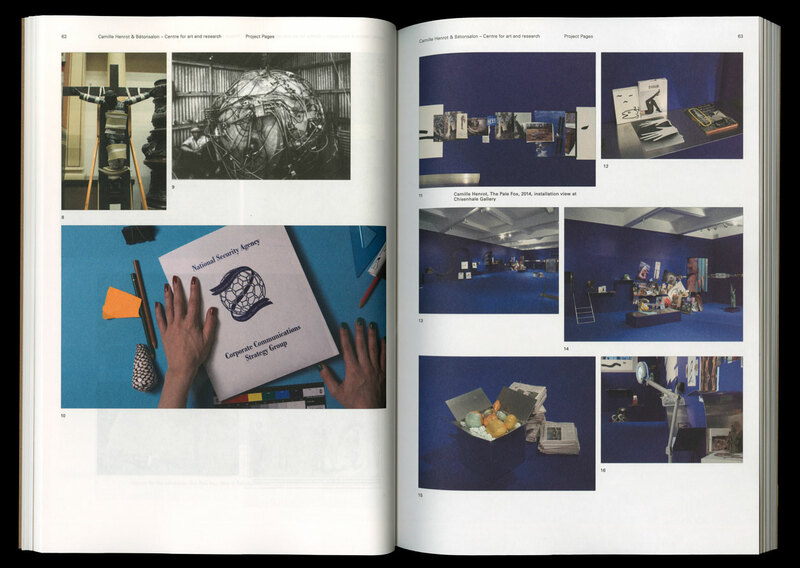 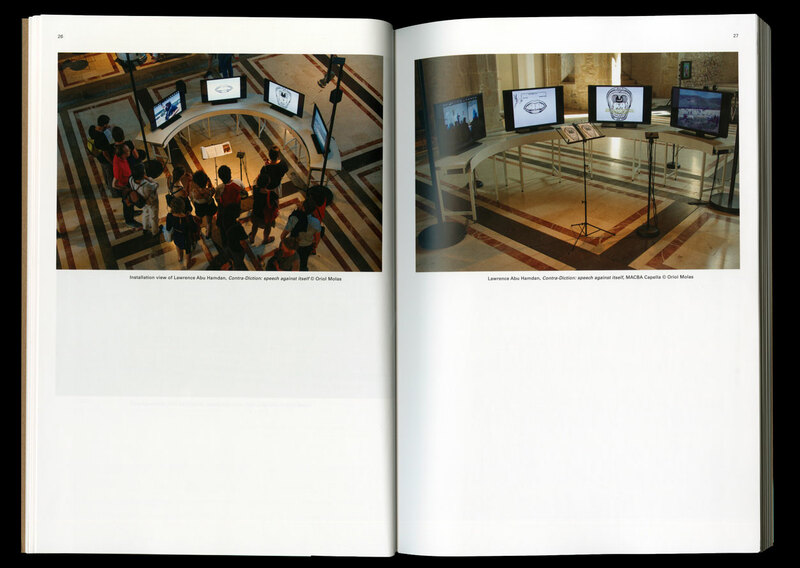 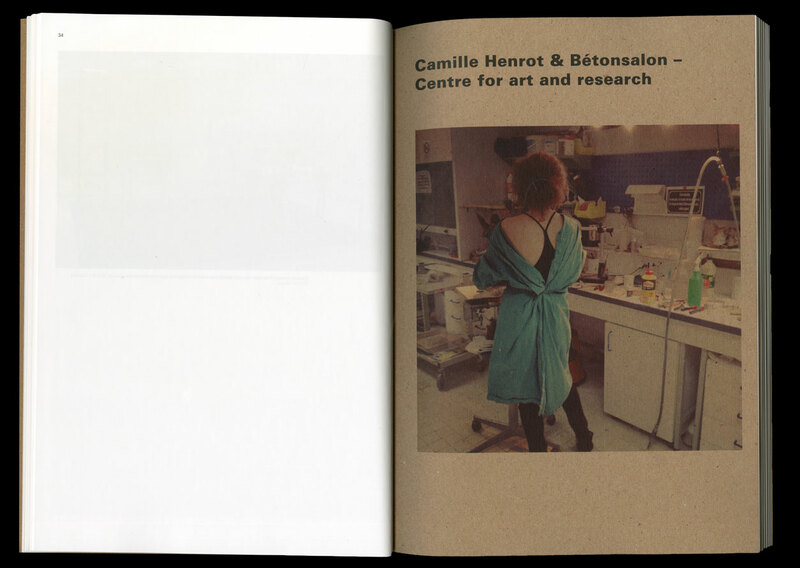 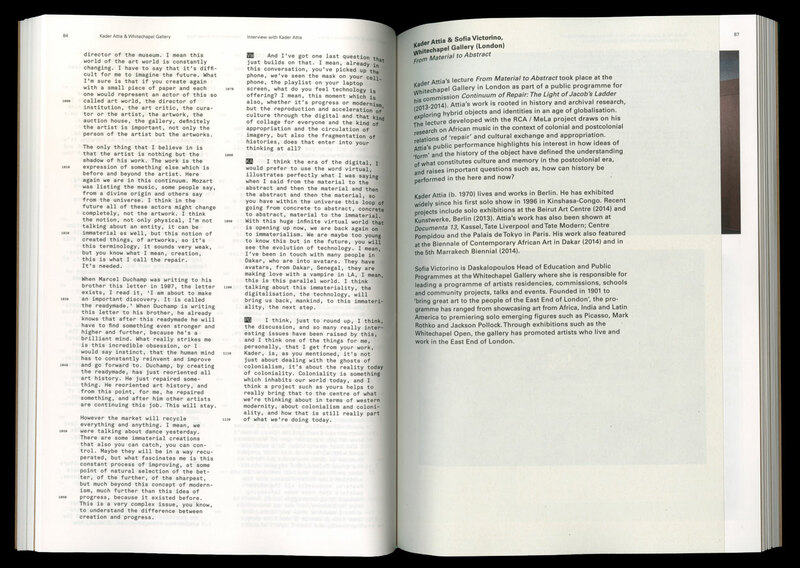 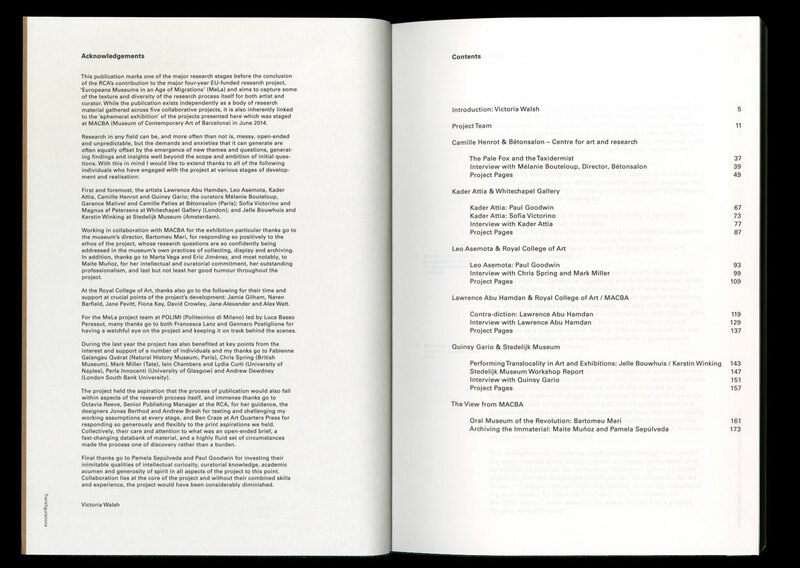 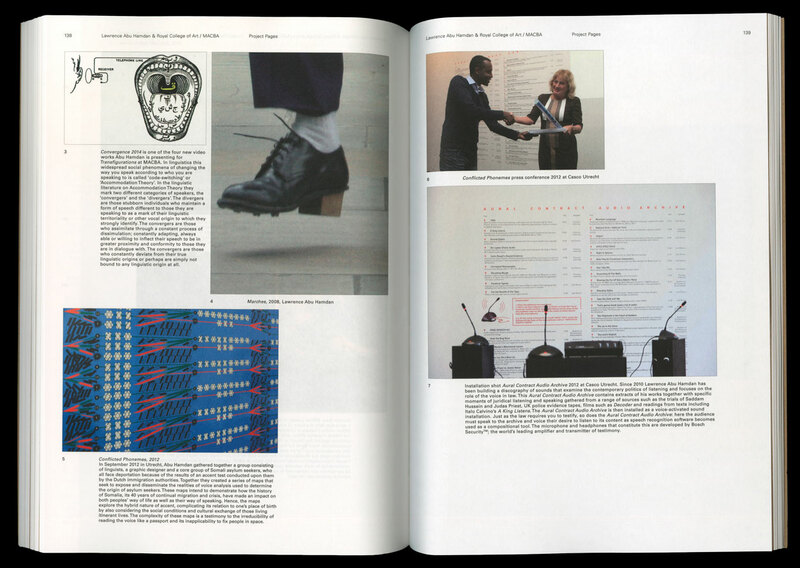 The contents of the book consist primarily of research material in the form of five collaborative projects by artists and institutions: Camille Henrot and Bétonsalon in Paris, Kader Attia and the Whitechapel Gallery in London, Leo Asemota and the RCA, Lawrence Abu Hamdan and the RCA with the Museu d’Art Contemporani (MACBA) in Barcelona, and Quinsy Gario and the Stedelijk Museum in Amsterdam. 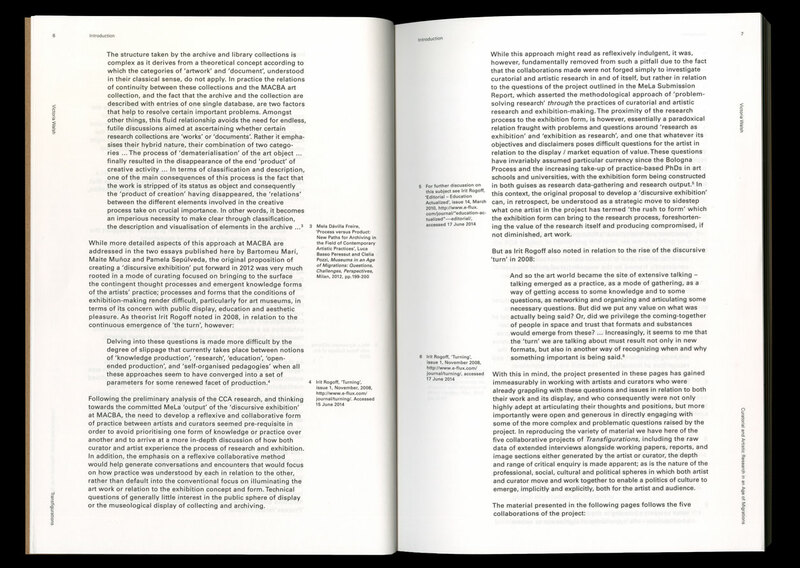 This almost raw research material needed a treatment that made it both very accessible (as future reference material) and flexible (as a ‘snapshot’ of ongoing research, the book needed to acknowledge the raw nature of the research material). 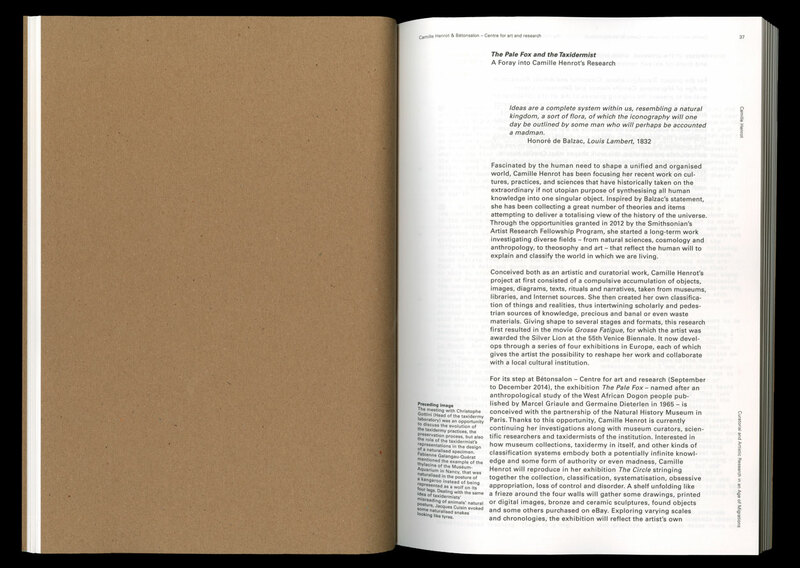 We decided to arrange the contents in brown paper ‘folders’, almost as if we had classified them in a filing cabinet, both organised and open to rearrangement. 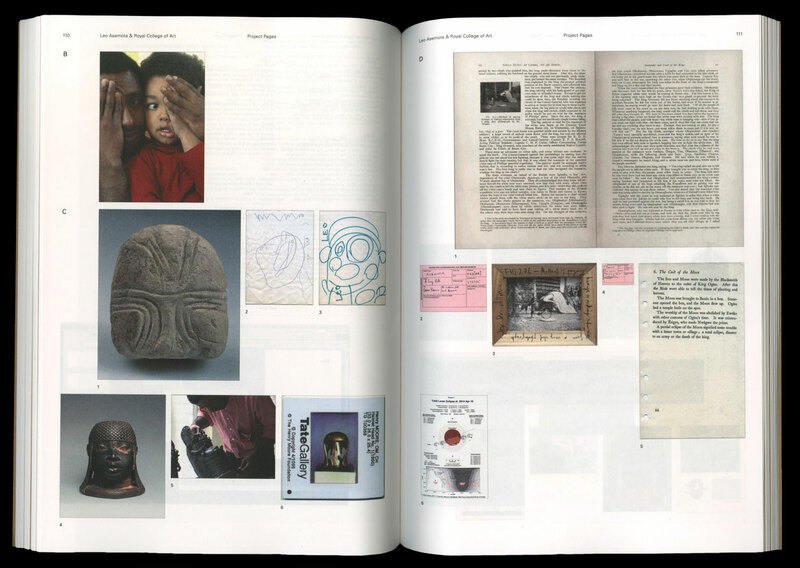 Subtle details, such as the untrimmed edge of the book, also play with the idea that these are ‘files’ which are at the same time fixed by the nature of the book, and fluid findings ready to be rearranged.